One of the good thing about slow cooking food, meats come out tender and juicy, and it's almost impossible to burn. Inexpensive cuts of meat are perfect for slow cookers. Season both sides of pork chops with salt, pepper and garlic powder. 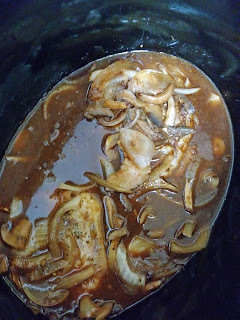 In slow cooker, pour half BBQ sauce, add minced garlic. Add pork chops, and place onions and mushrooms on top. Sprinkle with salt and bacon and chive seasoning. 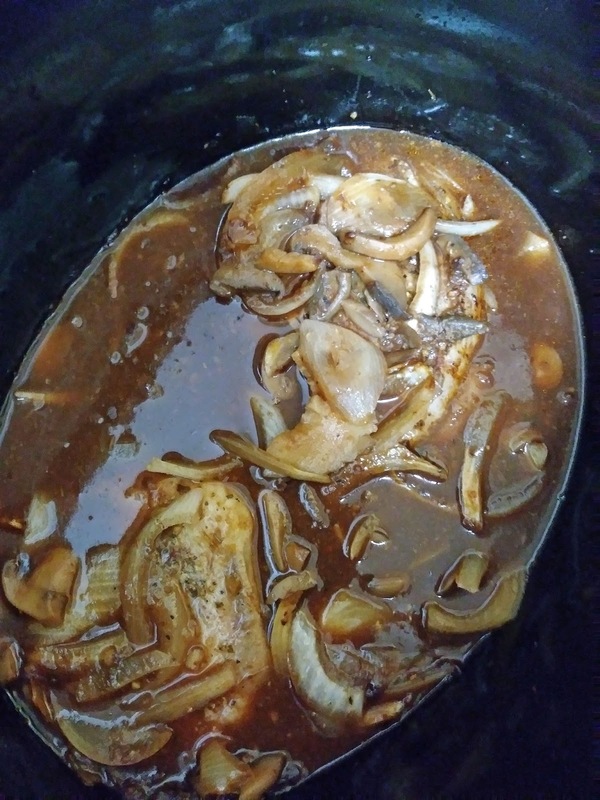 Pour remaining BBQ sauce over onions and mushrooms. Cover and cook on low, about 4 hours, until pork chops are no longer pink in center. I love the addition of BBQ Sauce in this. A must try. I just know that this is scrumptious! The color of that broth is perfect. Beautiful recipe and so easy!! It's delicious! Thank you very much! I have never used a slow cooker but this looks like something I need to have! Love my slow cooker. Thanks! This sounds really good! I would love to try this with fresh mushrooms. Fresh mushrooms are perfect with this. Thanks, Ann!